Happy weekend everyone! I'm really excited about this week's goodies. As you can tell, I've got Christmas on the brain, so I designed a bunch of goodies perfect for those handmade gifts we all love to make and receive. 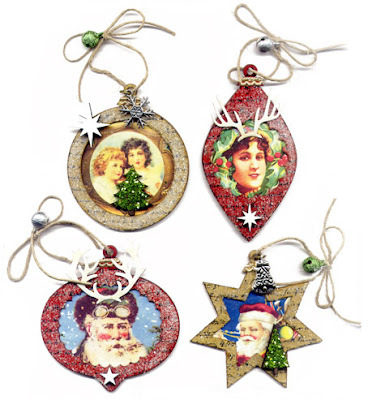 Plenty of ornaments, tags, and FUN Cut-Outs. I can't wait to play with those Funky Trees, definitely my new favorite! AND, we have several new sets of Sandra Everton's Relics & Artifacts! The new sets come with wood support frames. They are in stock and ready to ship. Find them all HERE. Hop on over to Chrissy's Blog post for more awesome photos and info. 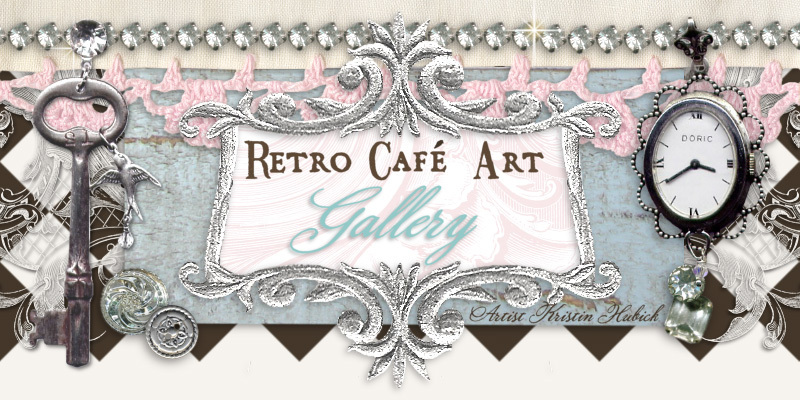 More Inspiration By Chrissy Colon! 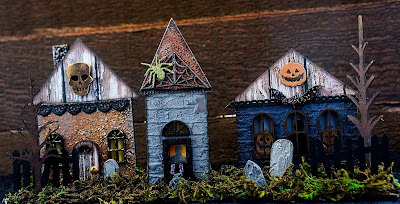 And another fabulously spooky village by Chrissy Colon! This one is the Chapel Hill Village. Really loving the graveyard Chrissy. 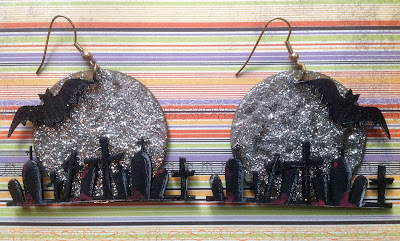 Another fabulous creation! Check out Chrissy's blog post! Like I said, the Villages are awesome for Christmas too! 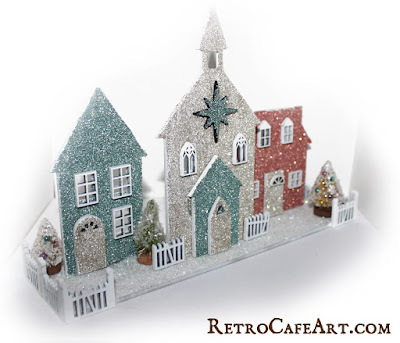 Here's the village I made, and you can find the original blog post with more photos and links here. Happy weekend everyone! We have lots of sweet Christmas goodies in the shop this week! 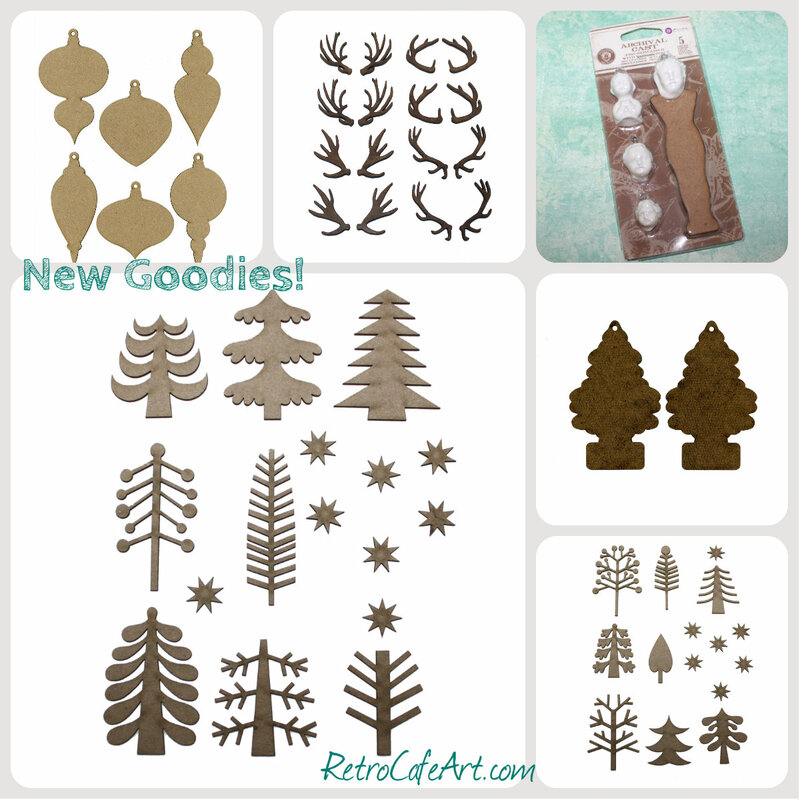 Lots of great goodies for ornament, tag, and card making! I can't wait to get started on my handmade gifts. Handmade gifts are definitely the best! And don't forget to check the Clearance section for some great deals! 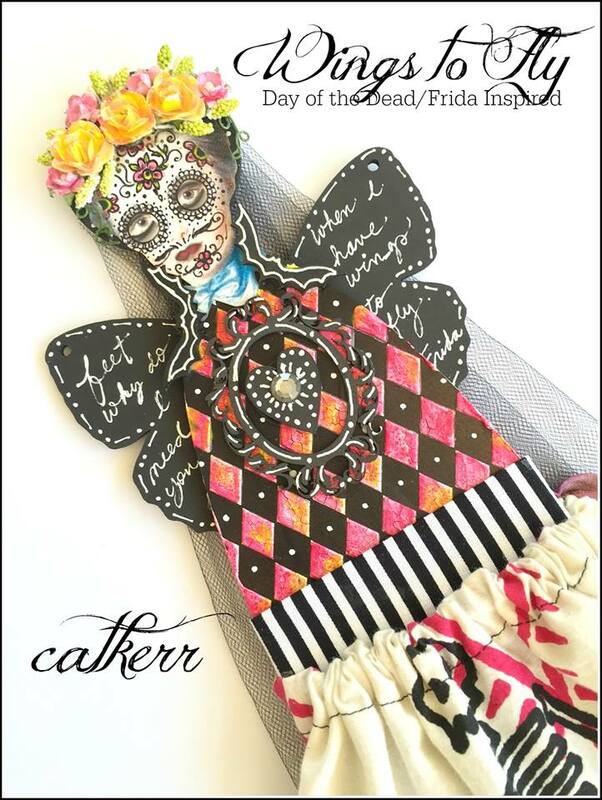 We absolutely adore this Frida/Day of the Dead inspired art doll by Design Team Member Cat Kerr! Hop on over to Cat's blog for the tutorial, more delicious photos, and the complete supply list. You'll love seeing how she transformed the face! So awesome Cat! Some fabulous Halloween fun by Linda O'Connor! 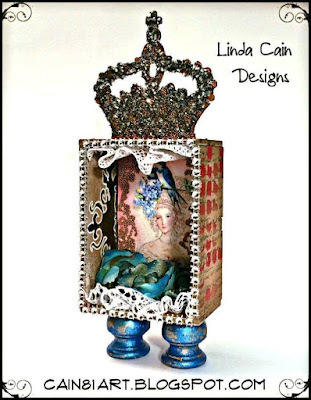 We love the way she transformed an ATC box into something much more! Check out the wonderful hat. So awesome Linda! 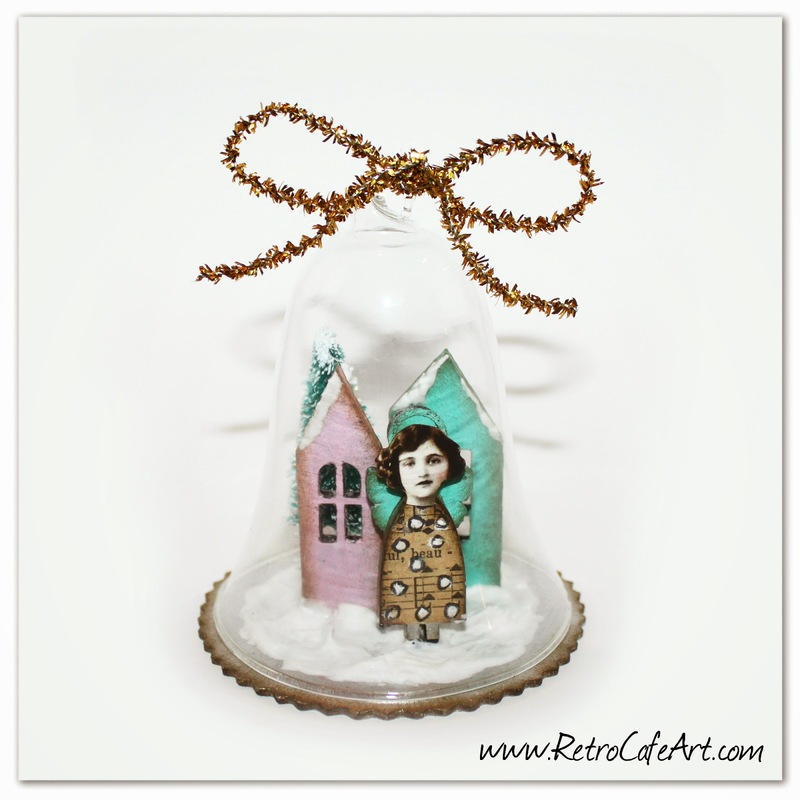 'Mon Amie', a fantastic angel doll by Bonnie Ashurst! Part of her doll includes a postcard sent from her friend in France! What a great way to preserve the memory. So beautiful Bonnie! A big huge congrats to Tracy Delisle! Her fabulous assemblage clock is on the cover of the September/October Somerset Studio Magazine (with an article on page 86)! Go grab yourself a copy! Way to go Tracy! Below is one of my favorite Christmas projects! I do love pink, aqua, and gold around Christmas time! You can find the full tutorial here. 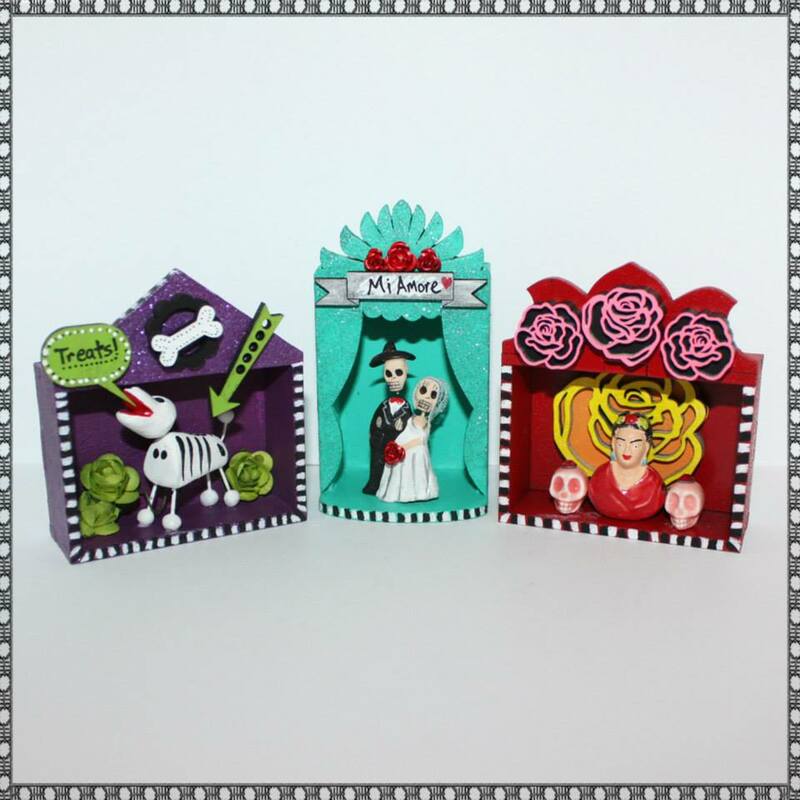 We've extended our Facebook Prima Flash Sale through the weekend! All Prima goodies are 20% off through Sunday at midnight! Stock up on your Finnabair, Sandra Evertson Relics & Artifacts, and more! Happy weekend everyone! We have lots of sweet Christmas goodies in the shop this week! 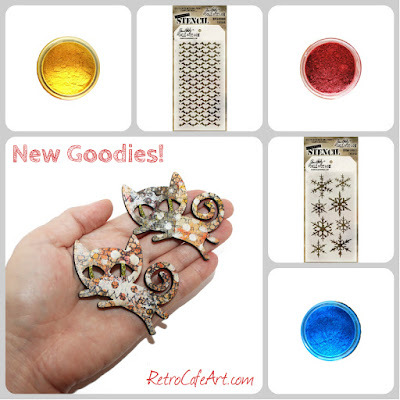 Ornaments, brads, paper, minis, and lots more! We are especially loving the chipboard Christmas Lights! 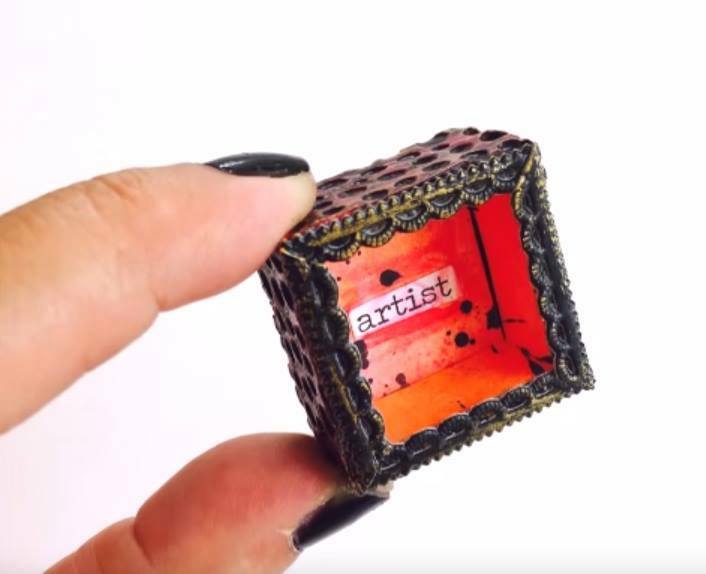 A great small size, perfect for so many projects. 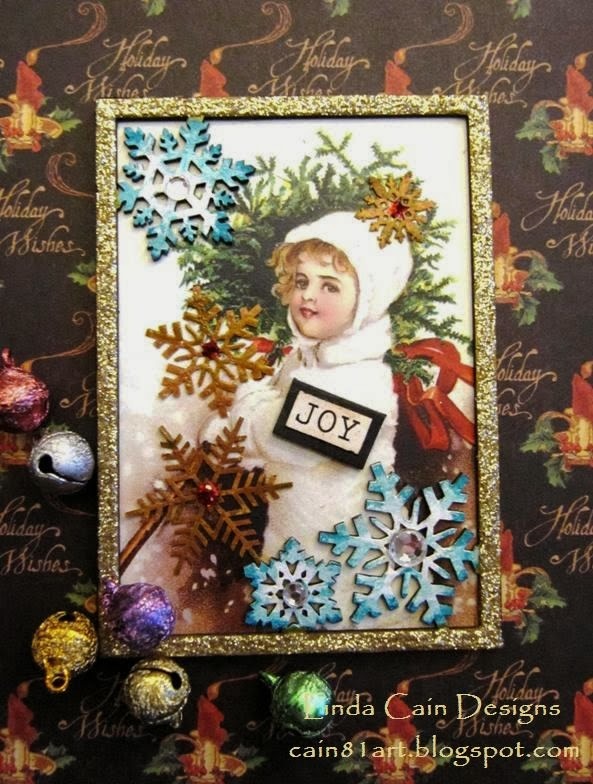 The perfect touch for cards, ornaments, atcs, and so much more! I can definitely see them arted up with some Stickles or Pearl Pens! 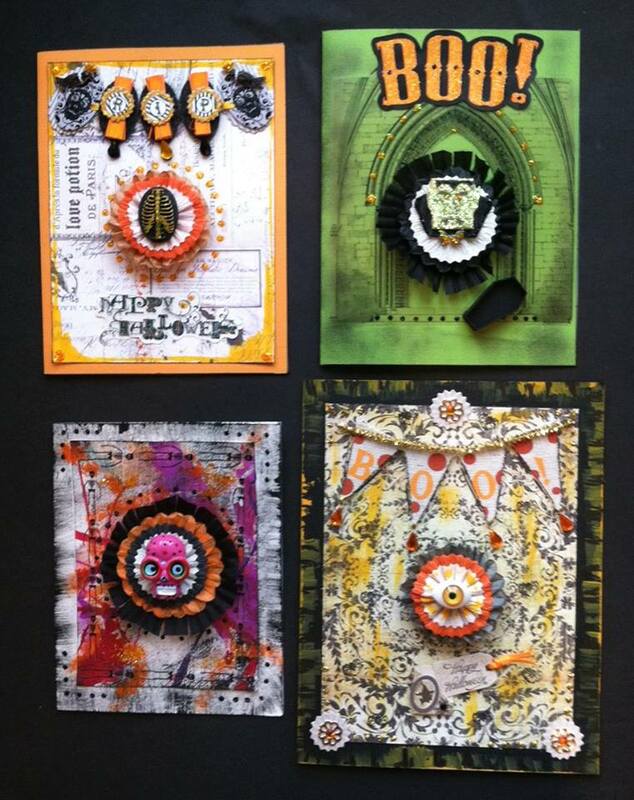 We're loving this Halloween card, with a bit of DOTD flair by Design Team Member Gerri Herbst! Awesome colors and great texture Gerri! 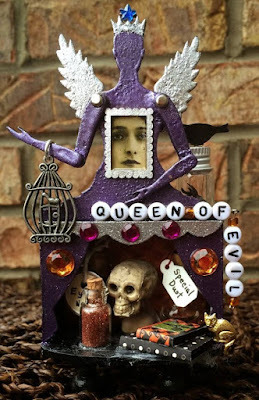 A spooktacular Mini Doll Theatre Shrine by Linda O'Connor! 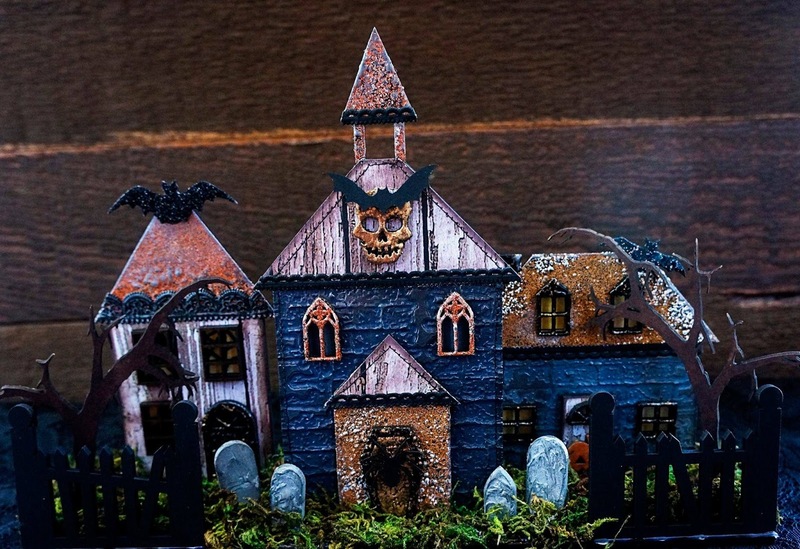 This shrine may be small, but Linda has it packed with Halloween FUN! Check out the clever way she attached those alphabet beads. So awesome Linda! 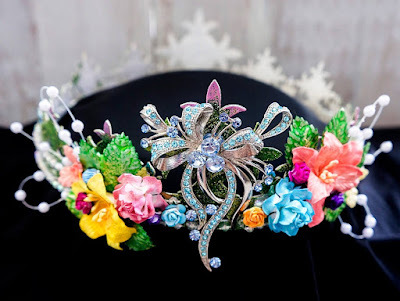 Starting the week with an INCREDIBLE Faery Princess crown by Chrissy Colon! We love the gorgeous colors and the stunning photo taken by Chrissy. Truly a masterpiece! An incredibly cool shadow box by Tracy Delisle! 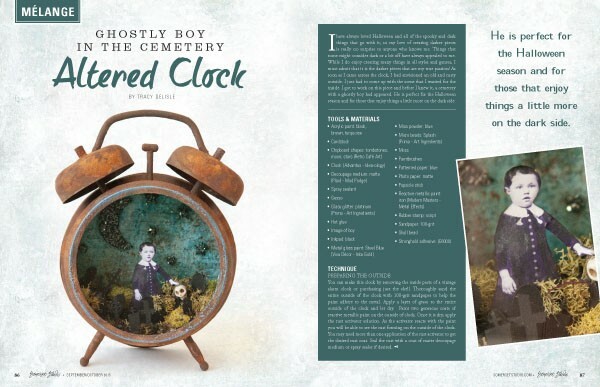 We especially love the brilliant way she used the gravestone border. Such a great distressed finish on the bases too. So awesome Tracy! 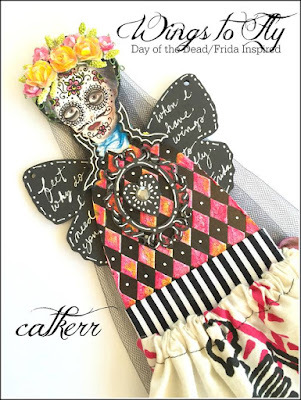 Dia De Los Muertos Inspiration! 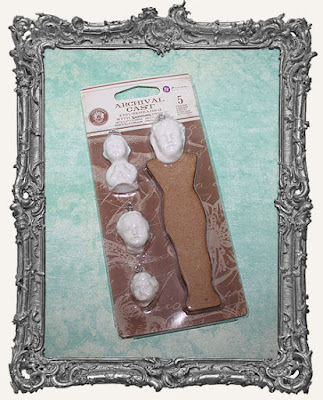 We've been noticing lots of great DOTD goodies flying out the door! 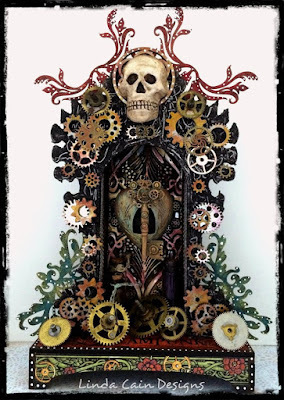 Aside from Halloween and Christmas, Dia De Los Muertos is another favorite holiday of ours! 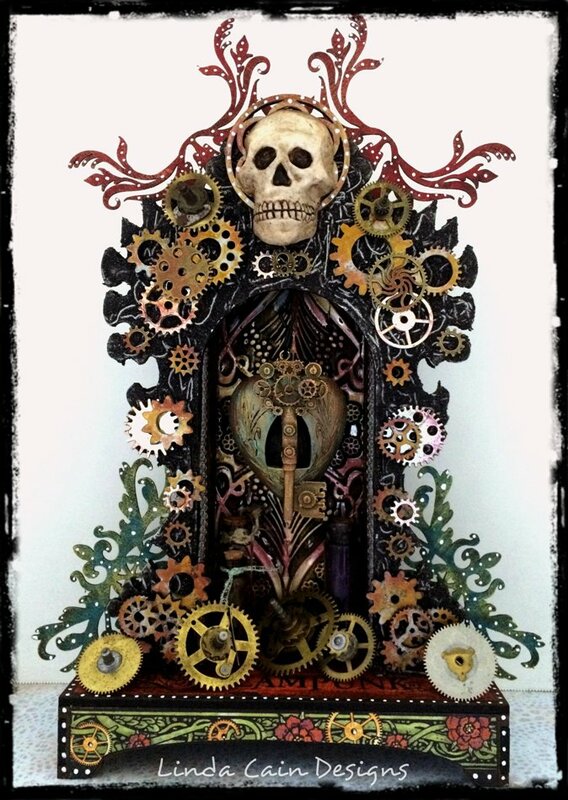 Check out our DOTD Swap Album for tons of inspiration HERE. 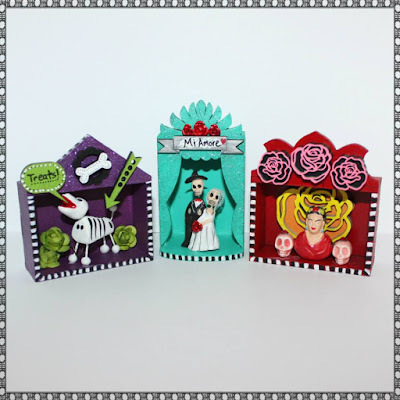 We have a whole DOTD section in the shop too! Happy weekend everyone! 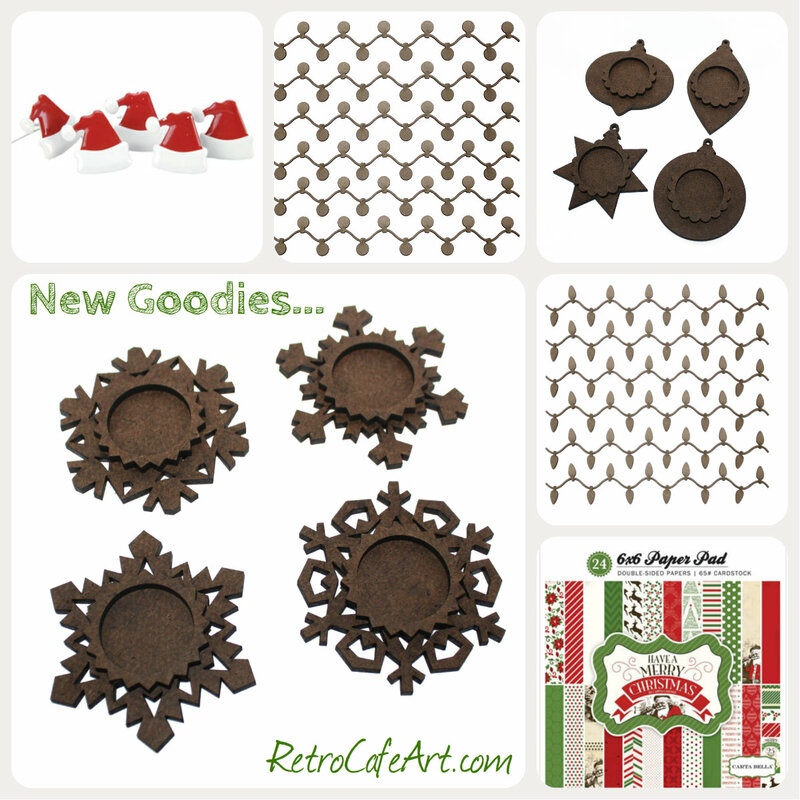 We have lots of great new goodies in the shop this week! 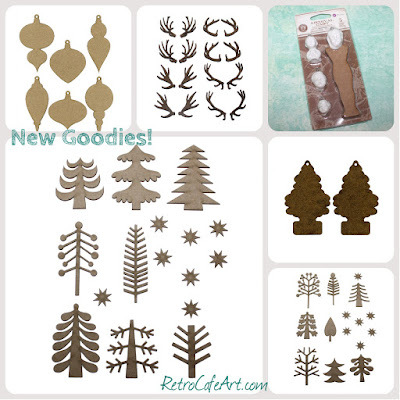 Stencils, Mica Powders, Collage Sheets, and more! 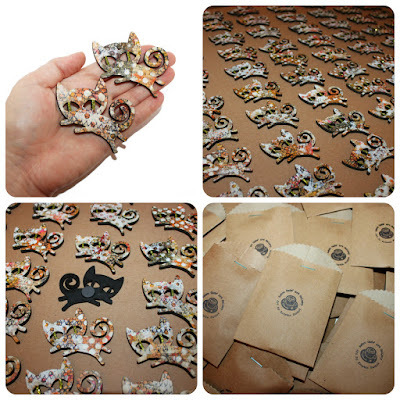 And of course my favorite, Calico Collage Kitties! I made these sweet kitties for the tombstone swappers, and made sure to make some extras. I know we have lots of cat lovers out there! Grab em' while you can! We've added lots of new goodies to the Clearance section this week too, including tons of Halloween! Grab the savings while you can HERE. Check out these adorable Halloween earrings by Design Team Member Gerri Herbst! We love how she used the Gravestone Borders in such a creative way. 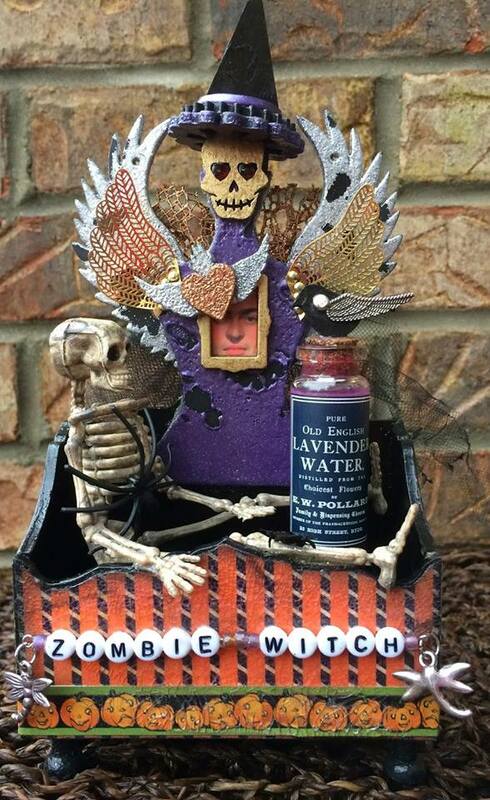 Spooktacular Gerri! 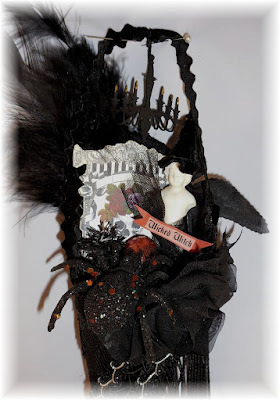 A fabulous Halloween Tussie by Design Team Member Lynn Stevens! 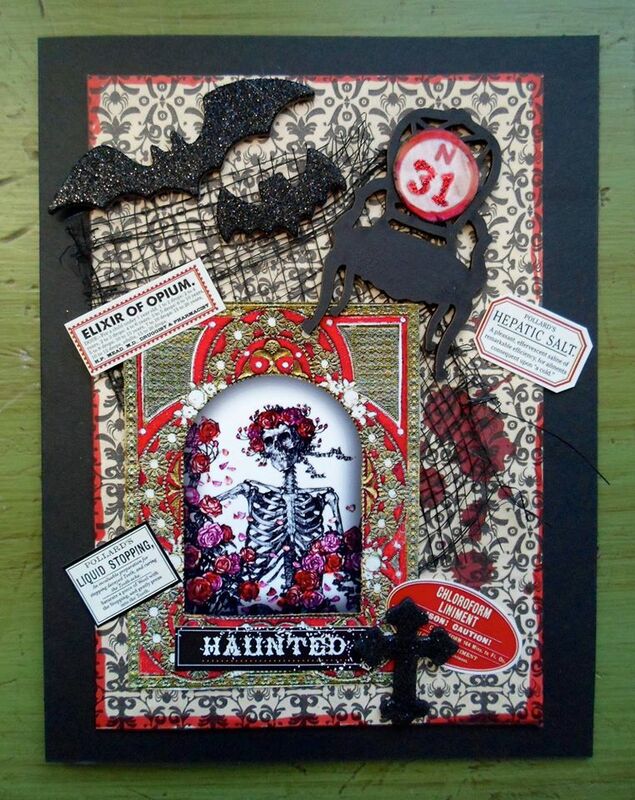 We love the Victorian look of this cool Halloween piece. So awesome Lynn! 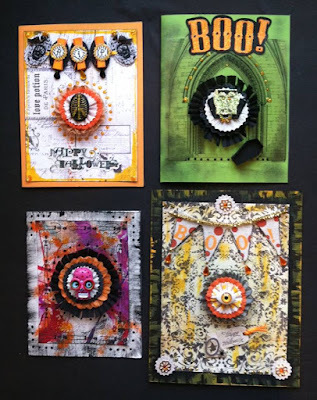 A fantastic, fun set of Halloween cards by Design Team Member Gerri Herbst! 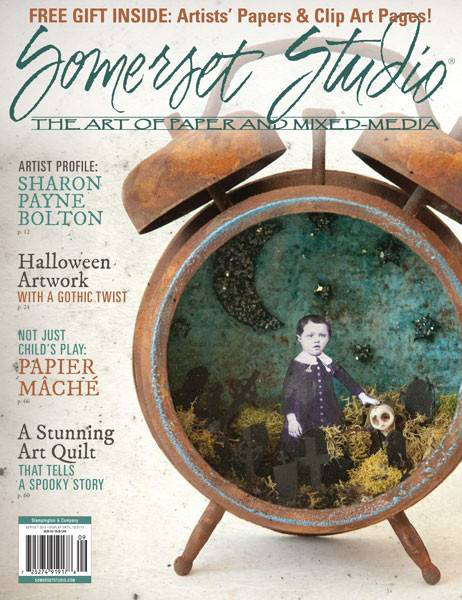 We're loving the layouts and the awesome center pieces. Wonderful Gerri! 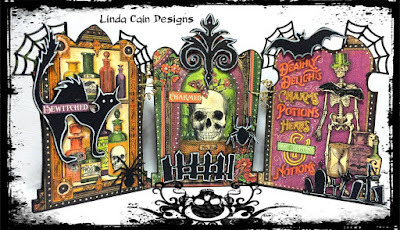 We are over the moon in love with this amazing Tombstone Triptych by Design Team Member Linda Cain! What a creative way to use those tombstones! 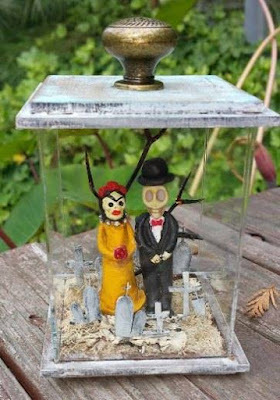 This is a great idea for any of the other sets we have available too! So awesome Linda!